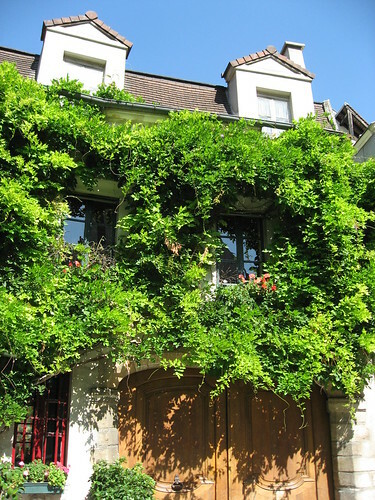 Paris is filled with spectacular and famous landmarks, but part of its charm is the beauty in the everyday details. 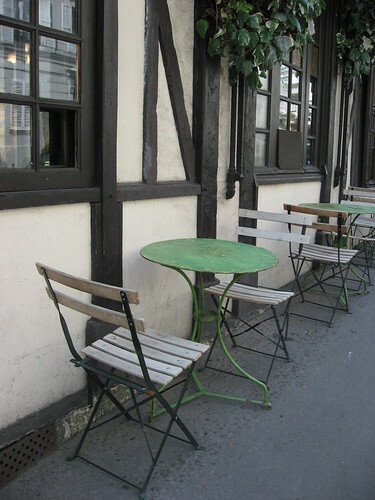 There were sidewalk cafes everywhere, but I thought these tables in Montmartre were particularly attractive. 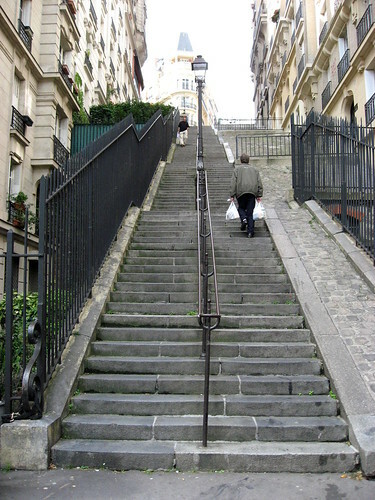 Montmartre is very hilly and we got a lot of exercise climbing up and down the day we spent in that arrondissement. I thought there was something special about these leafy windows. 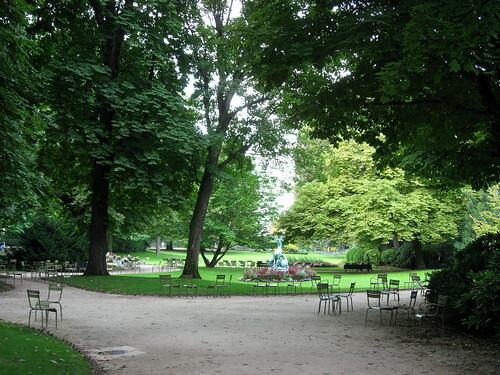 All the parks have lots of these metal chairs and in the afternoons, they are filled with people. We loved the way they invite you to really use the parks and stay awhile. 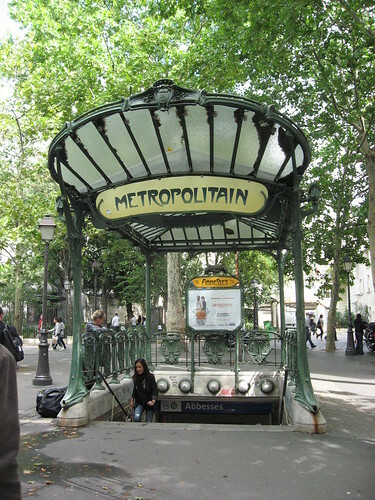 The Art Nouveau metro entrances are very pretty. 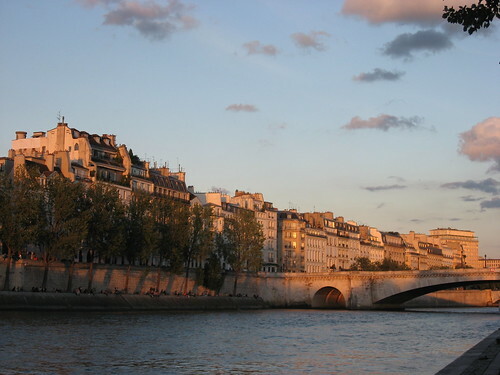 Walking along the Seine at sunset, we saw these buildings glowing in the evening sunlight. Our visit to Paris was a wonderful holiday and I look forward to visiting again.